Simba Hosting offer a popular “WordPress maintenance” service. Lots of people have WordPress-based websites, but no maintenance arrangements for them. That’s a bad situation, but Simba can help. Click on a heading below for more information. WordPress is based upon a core, plus customisable themes and plugins. Any of these components can have security problems found in them, allowing hackers to take over your website. Read this blog post from Sophos Security for more information. What does your maintenance service provide? Under our maintenance service, we monitor your installation for available updates to any of the components you are using. We then check out if those updates are security-related, and test them for compatibility and apply them in a timely fashion to your site. (If a plugin update is not security-related, we will generally let it be, rather than risk introducing new problems simply for the sake of running the latest version. We always try to keep WordPress core up to date, as plugin authors usually target the latest version, and not keeping the core up to date risks introducing unexpected bugs). Most of this time this is a smooth process. Sometimes there are problems; for example, the update is not compatible with your site, or a security problem is known but no update is available. In this case, we advise you on the possibilities – for example, replacing the plugin with an equivalent one, or some bespoke coding to patch the problem in the existing plugin ourselves. What’s included and what’s not: the core service includes monitoring and applying available, compatible updates. Where no such update is available, we advise you of alternative resolutions and give you a cost estimate for carrying each of them out. We are not generally responsible for all security issues on your WordPress website – e.g. if your password is guessed, or if even the latest version of a plugin still had a security problem in it (though if we knew of such an issue, we would advise you). Lots! We are WordPress experts, and have built many sites, produced new plugins, and delved into the internals. 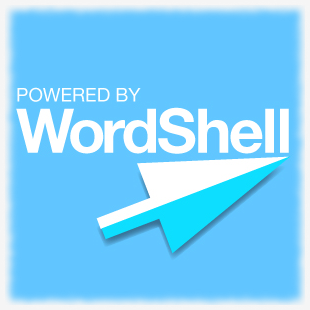 In fact, we actually provide a sophisticated WordPress maintenance product to other techies and geeks, called WordShell. The pricing depends on how many plugins and themes you have. A WordPress site can be arbitrarily large or complicated; but prices start at £50 per site per year (which works out at just over £4 a month), and can be up to £95/year for a fantastically complex site. Just get in touch.